Boondocking has different stories related to its origin but the most accepted origin is credited to American military men serving within the Philippines in the twentieth century. The word boondock is a Tagalog word for mountain, bundog. The men in the service started using the word meaning a rural or bushy location when they got home. The recreational vehicle (RV) community started applying the word to describe camping in rural areas. 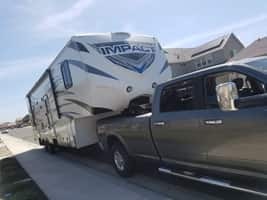 For instance, if you are going fishing to a local national park in your truck camper, surviving effectively in the area without hookups is boondocking. Boondocking is also be referred to as dispersed camping. Which is the art of driving your vehicle into the wilds and camping for free on public lands. Boondocking can work for everyone particularly if your lifestyle entails being outdoors in peace, enjoying the quiet and beautiful natural scenes. It is an experience to live completely on public lands like mountains, forests, and deserts without paying for it. Modern-day RV’s are comfortable and offer features suitable for boondocking. These features and available equipment include RV solar panels, large battery banks, wind and engine generators, microwave, ovens. RV’s are also well equipped with large freshwater and wastewater holding tanks, microwave ovens, large storage areas, swamp coolers, refrigerators, and other gadgets. Fun: You have the freedom to choose your desired natural location. You can decide to camp in forests, desert, mountains or along a beautiful beach. Cost: Boondocking on public lands is usually free. Although, boondocking on some lands requires a fee. This fee is usually a very low price therefore, boondocking helps you save money. Nature: It helps you discover the sites and scenes of nature. Boondocking can help you discover nature by providing you a first-row seat to the nature show. This is in contrast to a back row seat when staying in a crowded campground. If you are on public land and there are no signs of no camping, go for boondocking. 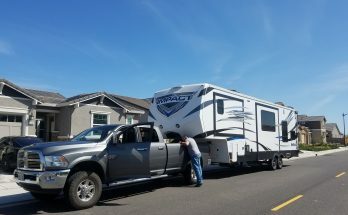 Privacy: Boondocking provides the peace and serenity for the person. If you want to escape the noisy and crowded city, opt for it. It provides an enjoyable feeling in a quiet environment. Healthy: Fresh air, along with the sounds of nature, and plenty of room to roam is beneficial to your health. Boondocking prevents overcrowding that is usually associated with campgrounds. This can also help to greatly reduce the spread of diseases too. Environment: RV boondocking uses fewer resources than life in a fixed dwelling. Most of the people tend to use less water which creates less wastewater. An alternative source of energy like solar and wind is used for electricity. A propane heater is used to generate heat for your RV. Then an energy efficient vent fan or swamp cooler is used for cooling. This can help our environment and helps reduce the depletion of the ozone layer. There are a lot of campsites that have yet to be discovered on our public lands, from forests, mountains, deserts, or streams. Fortunately, most of these sites are yet to be developed, they are still the way mother nature created them. When you are looking for RV boondocking campsites, it is better to stick to the roads. 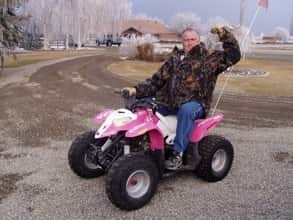 When driving down a gravel or dirt road, you may see turnouts in which other people have camped at earlier. It is advisable to stick to these established sites. Mapping out the location: Good maps are very important not only for boondocking but to you know where you are. The Benchmark and DeLorme company can provide you great state atlases that usually will show public lands. To help get greater details along with a few back roads, you can use BLM and Forest Service maps. USGS topo maps are also useful in zeroing in on an area. Finally, to get a perfect lay of the land, Google Earth is used for satellite image viewing of the location. This software provides you with a bird’s eye view of the location by showing roads that may not be on your map, terrain features like a mountain in 3D. Also, Google Earth can show you latitude and longitude, which can then be entered into your GPS, making navigation easy. Public land office: Contact the nearby public land office for more information on boondocking in that area it is essential. Many federal agencies can help you as well they might have this information on their websites. To avoid difficulties and not getting lost, try to select a base camp. Further exploration of the area can be done after you have chosen a campsite. Try to explore the area with a tow vehicle for more potential boondocking sites. Side roads may also show where other people have camped before. After which you then locate the perfect boondocking campground. Presence or absence of low hanging branches and trees. How reasonable is the site level? Presence of any dead branches that stand a chance of falling during hind winds. Relationship of trees to your RV solar panels, wind generator, internet service or satellite TV. Drainage of the campsite and possibility of flooding. The capability of orientating your RV in relation to the sun for solar panel output, optimal heating, and cooling. If using a cell phone or mobile broadband internet, do you have service at the proposed site? Then finding out you can’t call for help after setting up camp is no fun. And lastly, is how gorgeous the view is. However, this might not be very important because such campsites are hard to come by. After choosing a suitable campsite, you will have to get well prepared before boondocking. At the very least, charge up your RV’s house batteries, fill up your freshwater tank and propane tanks. Also, make sure you empty your black water and grey water holding tanks. With the tips above, you will be good for a few days especially if you properly conserve power. Keeping your batteries charged is the most difficult challenge when boondocking. The best available solution is to effectively conserve battery power. You can upgrade to efficient LED light to effectively save power. Turning off the devices and appliances that can create phantom loads can help save power. Such appliances include TVs, satellite receivers, microwave ovens, stereos, and security systems. For devices that you shouldn’t turn off, it is advisable for you to limit their usage. For instance, only keep a light source on if you are using it and ideally only one light source at a time. Highly efficient LED lights should be used in place of incandescent lights. A propane heater which consumes little amount of energy and also more efficient should be used for generating heat. However, the room should be well ventilated to prevent propane pollution from occurring. Solar Panels– This is by far the best means of charging your batteries. It is completely automatic, safe, silent, and great for your batteries. The initial cost for a solar panel may be high but it is worth it in the long run. Wind Generator: It is a great alternative to solar power. Wind energy can be effectively used to charge batteries. However, the spinning blades produce noise. Generator: This helps to supply power to your converter/charger for battery charging. The disadvantages include the noise, air pollution from fumes, fuel expenses. Additionally, the fun wilderness experience an be ruined. The average water by city inhabitants is about 70 gallons a day. You need to reduce water usage considering the fact that RVs only contain about 30 to 90 gallons of water. To help reduce water issues, you might want to bring extra water along in the water bladders. Fortunately, RV showers and toilets don’t use large amounts of water as residential units do. This will greatly help you in conserving water. However, there are other ways to conserve even more water. Water Usage: Effectively use the water and do not let it go unused. Avoid running the faucet while washing your hands or brushing your teeth. When waiting for water to get hot, try to capture the cold water for other uses. Navy Showers: This involves turning on the shower to wet your body, turning it off while you soap up, and then turning it on again to rinse. Installation of an on/off valve on the shower ease this procedure. A low flow shower can also be used to help conserve more water for other uses. Knobs: Label each knob cold or hot to help make it easier to get the right temperature subsequent times. Solar camp shower: Using a shower camp shower filled from a nearby stream helps conserve water. Toilet: Avoid using a lot of water to flush the toilet, use a spray bottle for the last rinse of the toilet seat. Dishwashing– You can use some paper towels to wipe the dishes off before washing. Then, heat up a little water in a pan, and then wash the dishes out of this pan. Finally, rinse in another pan or bowl of cold water. Pour water outside when done, preferably on a plant. Hand sanitizer: Clean hands with hand sanitizers instead of water to reduce water usage. The above guidelines can help cut down on the amount of water going into your tanks thereby conserving water. A few boondocking experiences will give you a hint of how quickly black and grey tanks fill up. To help prevent you from having to run for a dump station, there are some things you could do. Things like putting used toilet paper in a paper bag to reduce the amount of waste entering your black water tank. Also, shower outside with a solar camp shower. Additionally, you can practice keeping a jug of water outside for washing of your face and hands. Propane: This extraordinary gas makes a lot of your RV’s comfortable. It makes cooking, heating, baking, refrigeration, and warm showers easy. To avoid emptying your tanks quickly, limit the times you use your RV’s furnace for heating. The use of a catalytic heater will help increase the temperature and also would not run down your batteries like a forced-air furnace. Remember that these heaters do not have vents so there is a need for ventilation. You can also bring some extra propane tanks for camping if you have some. With a little experience, you will quickly learn how long your propane supply will last. Barbecuing, or cooking your meals over a campfire with some cast iron cookware is good and it will save propane. Setting your water heater to pilot mode helps conserve propane. Also, you can turn on the water heater about 10 minutes before you bathe. Then you can turn it off for the rest of the day if you want to. Boondocking is a fun and low-cost activity, and also easy on the environment. Using only a small fraction of the water an everyday city dweller uses. This also creates far less wastewater and uses a lot less electricity. 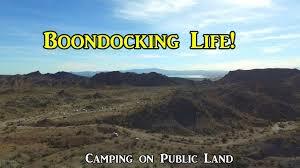 Coupled with the fact that most of your electricity will come from solar or wind power, boondocking is green living. You can also limit the effect on the environment by practicing stealth camping. You can do this by removing all trash which helps the campsite maintain its natural beauty. Also try to camp at least 100 feet away from a water source, like a river or lake. Avoid washing or dumping dishwater into a nearby water source and always use a biodegradable soap when washing. Avoid deforestation of trees by using dead woods for campfires. Try boondocking today, and take care of the environment for the future generations’ enjoyment today!!! 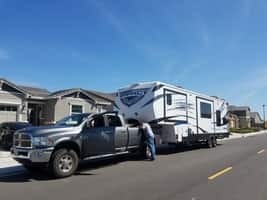 Previous Article Boondocking Around Carmel California!